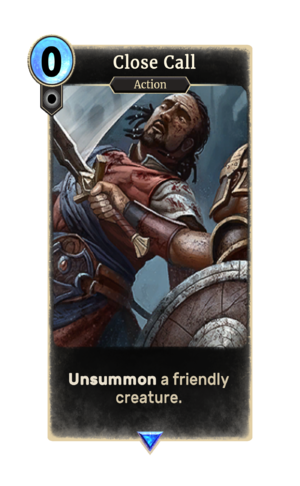 Close Call is a rare Neutral action card. It is part of the Madhouse Collection. It is available as part of the Madhouse Collection.